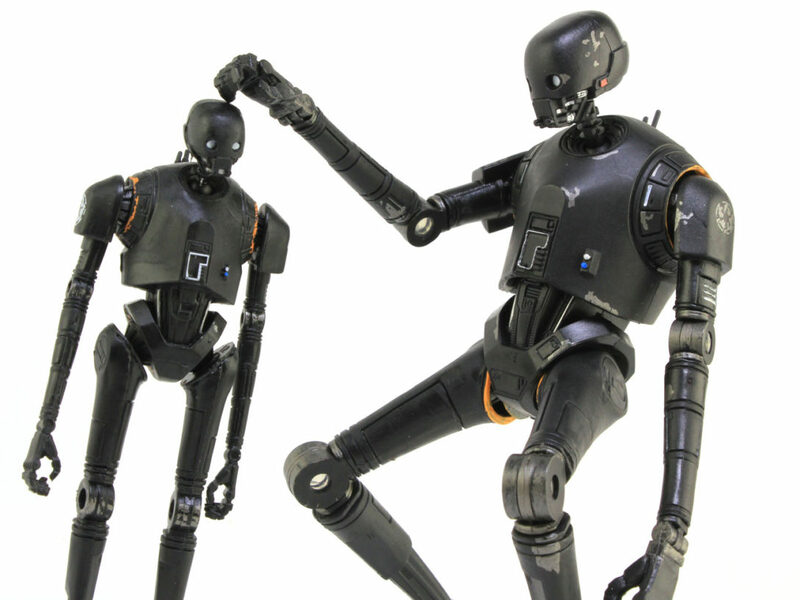 A Star Wars toy maker since the beginning looks back. With Star Wars celebrating its 40th anniversary this week, fans all over the world have been reflecting on how this incredible space saga has impacted their lives. And for many fans, one of the biggest impacts came from the toys. 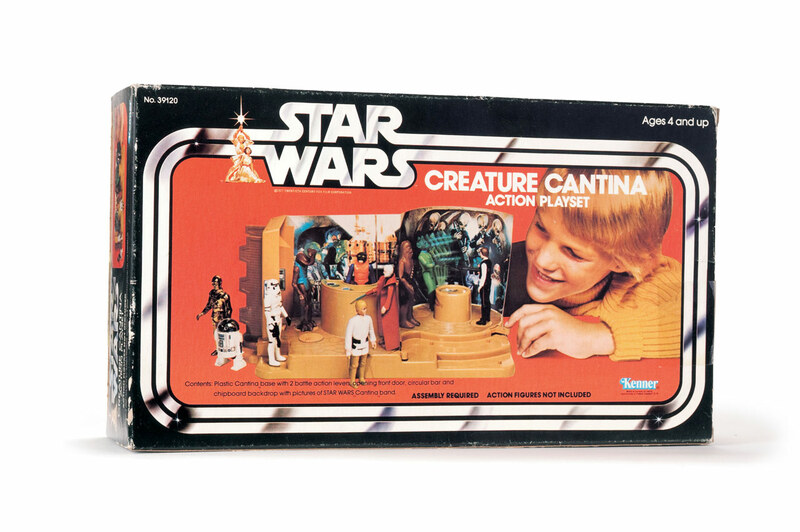 The original toy line from Kenner, which hit in 1978, was massively influential, changing the way figures from any fiction would be produced. Today, Hasbro continues the tradition with an ever-expanding line from that galaxy far, far away. 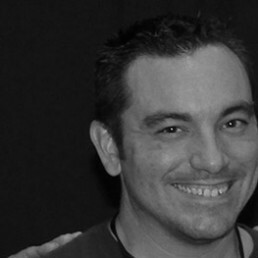 Mark Boudreaux is the senior principal designer on Star Wars toys at Hasbro, and has been working on the property ever since the early Kenner days and the very first Star Wars toys. 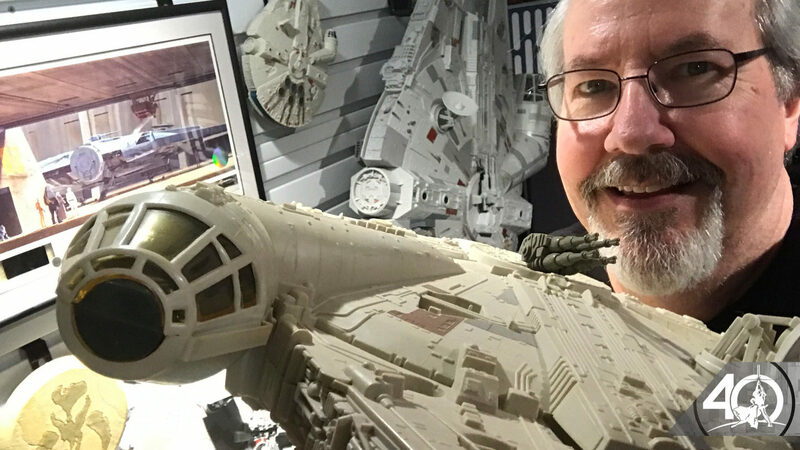 StarWars.com spoke with Boudreaux about Kenner’s decision to make Star Wars toys, why he thinks they resonated, and how Star Wars became his life’s work. StarWars.com: Let’s start at the beginning. 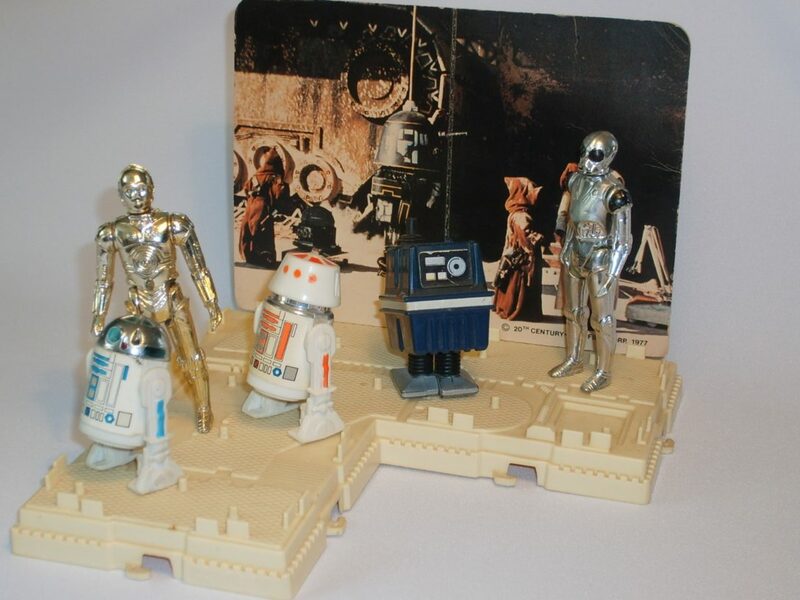 The original Star Wars toy line from Kenner was innovative. There hadn’t really been anything like it, and it practically reinvented the way many toy lines would be treated moving forward. 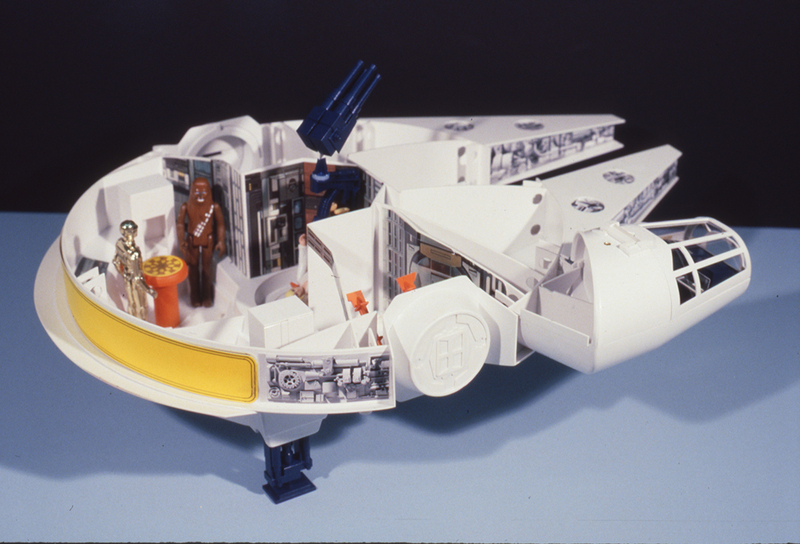 How did you and Kenner decide to do it, and what was your role in the process? Mark Boudreaux: It was a very interesting time. Certainly, very exciting for all of us. 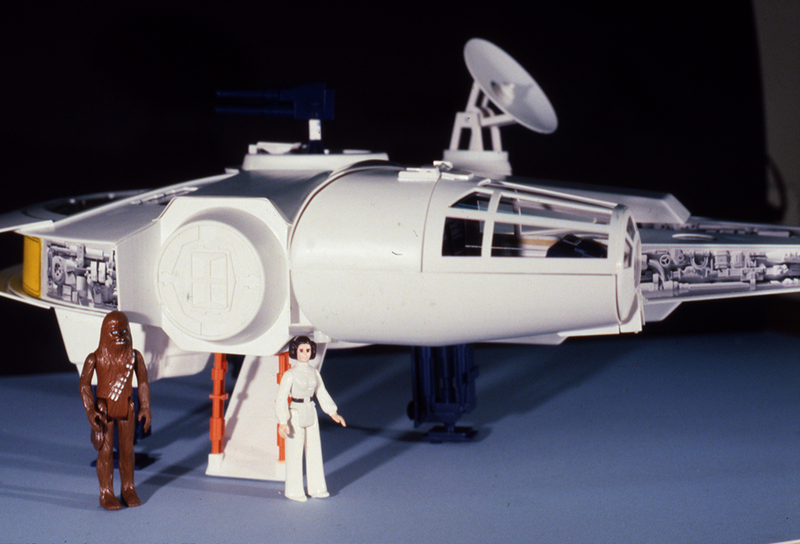 I was a co-op student at the time, working in the Preliminary Design department, and it was our team who had gone out to California to be able to read the script and come back to report to management that this is something that we, Kenner, really needed to take a look at. Kenner was becoming a company that I thought Hollywood would really start to court. They were doing a very successful line called Six Million Dollar Man. That was something that I thought was a really good synergy between the toy companies and studios; something that was a great way of advancing the knowledge of toys and the entertainment experience. I think that’s something that Kenner, and Hasbro over the years, has really excelled in the entertainment industry. So the design boss that I worked for at the time came back and said, “You know what, I have all these sketches and great ideas. They just showed us a galaxy and a great story that’s so compelling. You have all these great characters and vehicles and environments.” So he started to think, “How do we do this? How do we deliver all of these worlds?” He decided to take a look at a few sculpts. 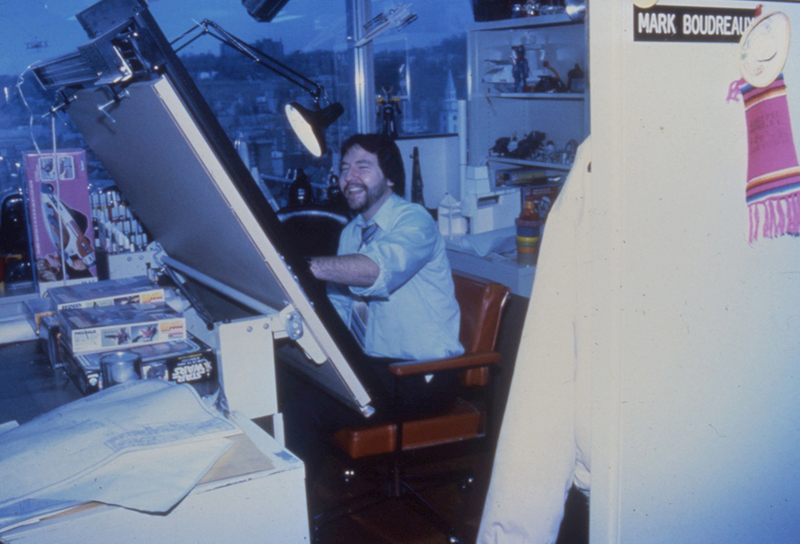 I remember he had sculpted up a stormtrooper and some other characters, and collectively we all fell on the 3.75” size. 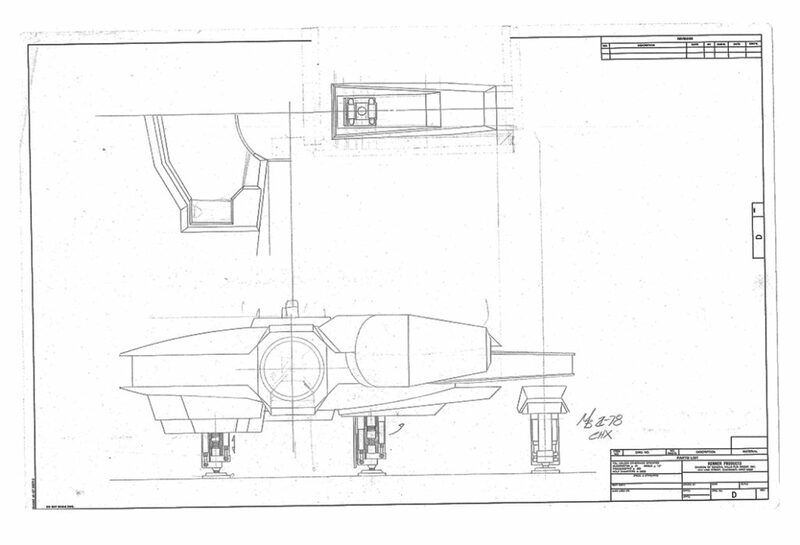 We felt it was a scale that would allow really nice detail, and would also allow us to develop all of these great vehicles. You can’t have a super space saga and have no place for all of our heroes and villains to fly to. And to be able to fly there, they need vehicles. So that 3.75” scale, along with all of the info brought back from California, really seemed to make the most sense. As I said, I was a co-op at the time, so it was our design team who were the ones who gathered all the information. But needless to say, when they came back and started to tell the team about what they had experienced, we were all super pumped. Then when we actually had the opportunity to see the trailer in February of ’77, we all went crazy! Up until then it was the sketching and the sculpting of our lead designer who was the storyteller conveying to everyone what this movie was all about. Then all of a sudden, we all got to experience it firsthand watching that trailer in February, and we all said, “Oh absolutely! We HAVE to do this!” It blew our minds. We were all fans. We grew up watching Star Trek and Fireball XL5 and 2001 and every space movie on a Saturday morning, and this Mr. Lucas had all of a sudden realized, “Hey, I want to put all of these stories together that I knew growing up — pirates in space, swashbucklers, and cowboys and Westerns — in a story that was unique.” It was in a galaxy far, far away, a long time ago, but it was all very familiar. People felt comfortable with that. I think Mr. [George] Lucas just knew how to craft a story, and with Ralph McQuarrie and others crafted a visual story, that was so compelling that people just couldn’t help but fall in love with it. We’re here 40 years later talking about this singular experience that people have had and it’s a testament to Mr. Lucas’ storytelling, and obviously the efforts of a lot of people who have been passionate and dedicated to Star Wars over this time period. It’s been a great ride, that’s for sure. 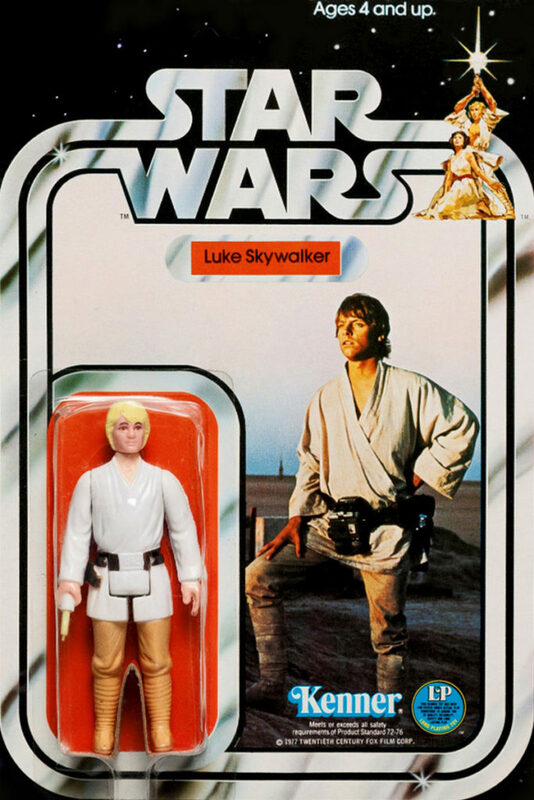 Every saga has a beginning: Kenner’s original Luke Skywalker figure. StarWars.com: You spoke about the excitement after seeing that trailer. What were your feeling after finally seeing the film? Did it make you even more excited to be working on the toys? Mark Boudreaux: It wasn’t too long after Kenner had signed the contract that the movie came out in May, so we hadn’t really had a lot of experience with the film up until that point. So when we all went to see the film, we were all just completely taken by this. I remember when the Tantive IV was taken by the Star Destroyer, I remember looking up at the ceiling to see if the rest of the ship was above me. It was just so impactful. Who would have ever thought to have classical music be the heartbeat of a space adventure? Mr. Lucas certainly knew what he was doing when he contacted Mr. [John] Williams. The impact of the visuals with the soundtrack was just something that nobody had ever seen before. It was something totally new and fresh, and I think you were instantly taken by this whole experience. And what’s cool about it is even to this day, Star Wars is a very collective experience. Everybody has their own thoughts on what Star Wars means to them, yes. But I think it’s such a huge community, which makes it even stronger. You know, a lot of times you throw a pebble out into a lake and the ripples go out, but eventually fade away. I think it’s the exact opposite with Star Wars. With the original content that has been emblazoned into everyone’s mind and in the culture, up to the new content that’s so dramatic and exciting, to see what’s happened over these 40 years, and see the faces of fans, and the faces of ourselves because we’re also such huge fans. It’s been an honor and a privilege to work on this brand. We’ve had the occasion to work with so many dedicated people — from Lucasfilm, from Kenner, from Hasbro — it’s been a great, once-in-a-lifetime opportunity. I’ve been doing this for over two-thirds of my life! I will admit that 40 years ago, would I have ever thought we’d be here talking today? No, I don’t think anyone did. But to have that opportunity to be so close to a brand and a project, not a lot of people get to do that. I’m even working on the brand after Mr. Lucas’ time. And that’s not lost on me. I really do appreciate that. I think early on, you were in the moment and working on projects day to day. But over the years I’ve certainly learned to appreciate what Star Wars really means not only to myself but to all of the fans all over the world. 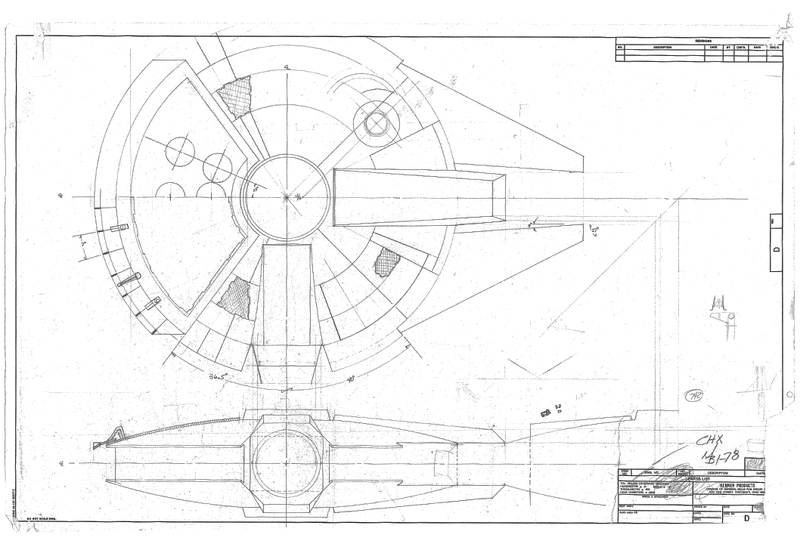 Not a hunk of junk: The original design blueprints for Kenner’s Millennium Falcon. StarWars.com: So speaking of what Star Wars means to everyone, at what point did you realize that the toy line itself was going to be a big deal? Mark Boudreaux: Well, I think after we all had the opportunity to see the film and started working on product — you know, back in the day, movies would stay in the theater for over a year! And I think we really started to get a good sense of the excitement and the staying power that this movie had. You were starting to build a fan base. And I think this was something new for the toy industry, too. This was something that I don’t think really had happened previous to this. 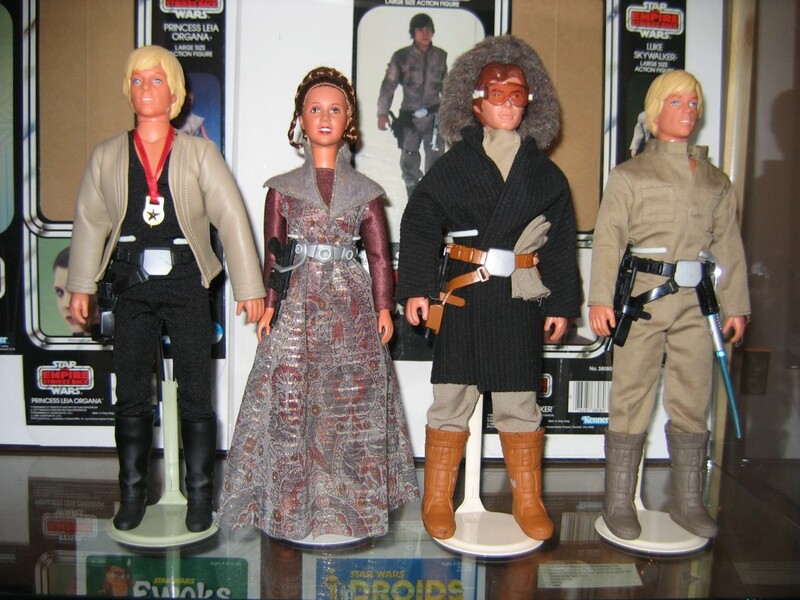 I think it was the perfect storm of Kenner being the right company, Mr. Lucas’ telling a story that resonated with everyone, and I think we quickly realized, “Wow, these people are continuing to see this movie for extended periods of time. The lines are still wrapping around the planet. These were all signs that [people] showed a genuine interest in Star Wars and a desire to be able to relive that fantasy. 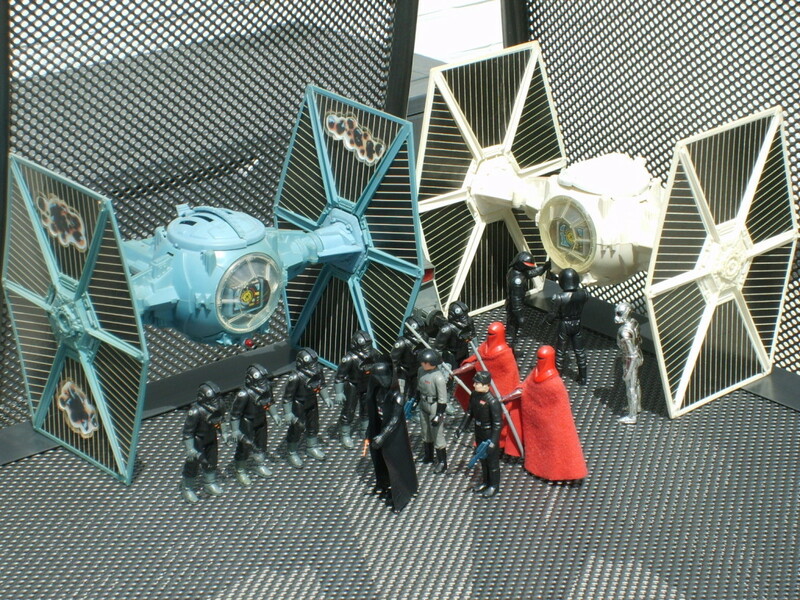 You know, you could go to the movie a hundred times over that year’s period, but what I think Kenner could bring to the table, and what we realized, is that if you could replicate what you see on the screen and allow fans to reenact those scenes and maybe even make up their own, that it allowed those fans to relive that experience. So it went from seeing the movie on the big screen to being able to extend that fantasy in the palm of your hands, so-to-speak. You could be Luke Skywalker. You could be Darth Vader. You were the pilot of an X-wing or a TIE fighter. You were Han Solo and Chewbacca in the Millennium Falcon. I think the toys just allowed you into this fantasy. I think the toys became very tangible, and a real part of life to experience it as many times as you wanted. And I think we all felt that as fans ourselves. It was proven by just how much Star Wars was appreciated and loved over those first 7 or 8 years of the brand. It wasn’t too much of a stretch for us to realize that we had something special. 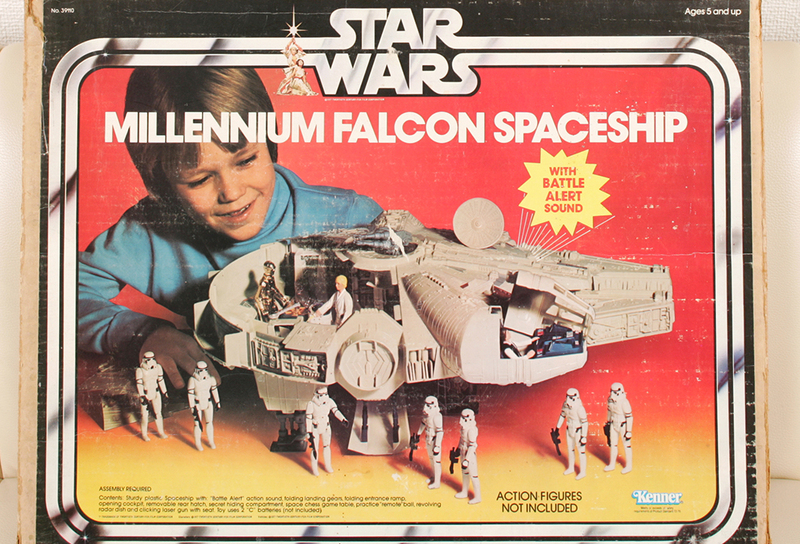 It was our lot in life to deliver a product that would faithfully reproduce the fantasy that Mr. Lucas had created. 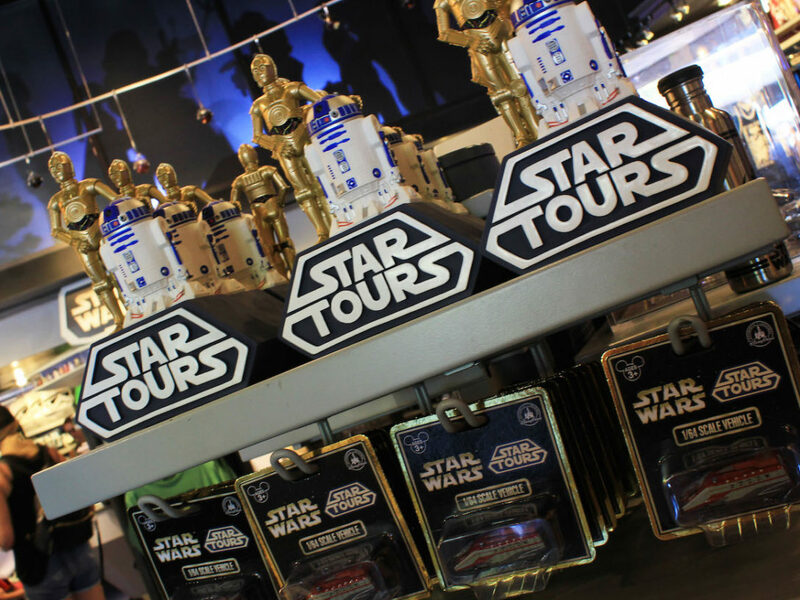 We always hoped to do the best product that we possibly could, to be a good partner with Lucasfilm. 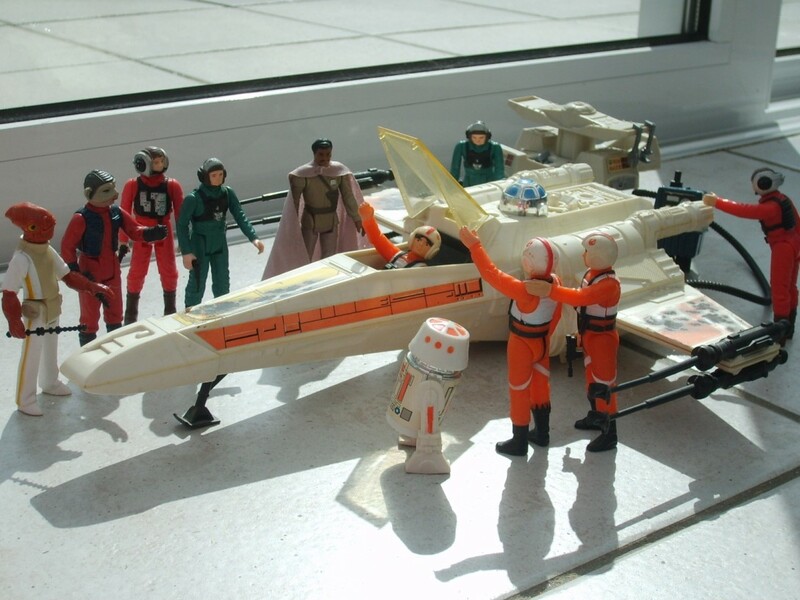 And I like to think that do this day the Kenner-Hasbro-Lucasfilm relationship just continues to get stronger. StarWars.com: Star Wars is well known for an amazing array of characters, most of which are only seen in the background. There’s all these cool aliens, like in the cantina scene. But no matter how small of a part an alien may have, it likely gets an action figure at some point. This dates all the way back to the original lines. How did including these characters — Hammerhead, Snaggletooth, etc. — come about? Kenner’s idea? Lucasfilm’s? I think it became quickly apparent that this was a world that was just more than a half a dozen figures. This was a world of countless characters, and every time there was a character that was put on screen, we thought, “You know, this is a story that needs to be told, and the best way for us to tell this story is to immortalize this character in plastic.” And I think they instantly then become part of that Star Wars world. You might not have necessarily known where Hammerhead came from the first time you saw him, but from a kid’s perspective, you’re thinking, “Wow, that is the coolest creature I’ve ever seen! I want to play with this guy! And what’s his deal? Was he a good guy? A bad guy? Is he somewhere in between?” And you wanted to know the backstory of Greedo. What was this guy all about? Even though he met his demise, he’s still an intriguing character and I think to do the Star Wars world justice it required that we execute as many characters as we possibly can. Obviously, we can’t do them all at once, and as you know it has taken a very long period of time where we’ve gone back and said, “You know, we’ve never really done this character and it’s about time we do. He deserves his story to be told.” And that’s how we’ve always looked at it. That’s what makes Star Wars so special, and that’s the unique thing about it from an individual perspective. You might be someone who falls in love with the bounty hunters, or cantina aliens, or pilots, or stormtroopers. Everyone has their own little part of Star Wars that they want to deep dive in to, and I think having that vast array of characters allows that to happen. 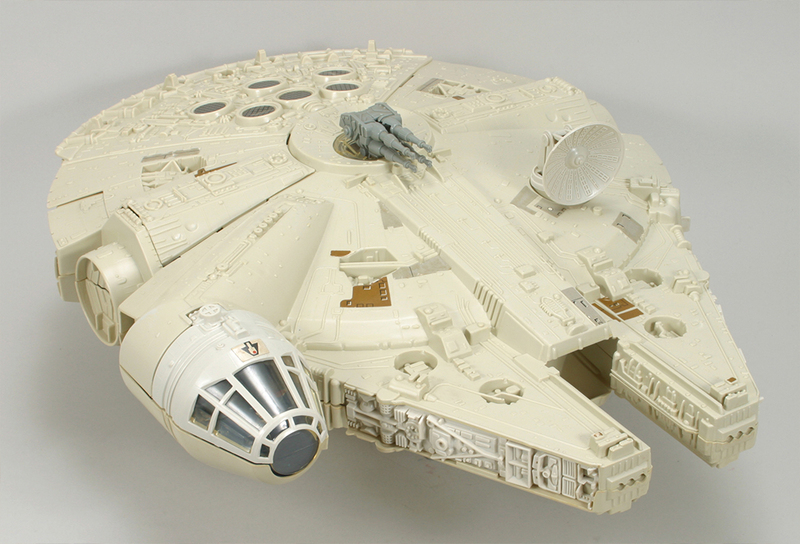 Got it where it counts: Kenner’s Millennium Falcon prototype (top row) and final version. StarWars.com: So let’s jump forward. It used to be that there was a new Star Wars film in theaters every three years. We are at a point now where there’s a new film every year, not to mention animation on TV in the form of Star Wars Rebels. Is it more of a challenge to make toys now with new films coming out in such rapid succession compared to the every-three-years model? Mark Boudreaux: I would say things are similar, but they are also different as you might imagine. When there were three years between films, it allowed us to dive more deeply into the story. It allowed us more than just one year of product to be produced. So obviously that first year working with Lucasfilm, we determined what are the core vehicles, what are the core characters, and what are the core environments that we should focus on first. Then after the movie has been out and you get all of the context and see what’s happening, then we back filled over the following two years. We were able to cover each film pretty well. That was back in the day when our reference was 8×10 photographs. Everything was hand drawn. We all did everything on a drawing board. Now we use digital assets. So everything had to be done by hand, from the drawing board to making wooden patterns. The timing took a little bit longer, but I think the essence between now and then remains the same. The heart of it is always the people working on the product, because you have to input the material whether it’s drawing it on a piece of paper or using a keypad. Whether it’s using wooden patterns or using 3D printers. I think the essence remains the same. The tools change. The closer the movies are together, it certainly challenges us in the development cycle. It doesn’t allow us to maybe go as deep as we’d like to do, but having said that, the prospect of going on to the next film to expand on and continue the story really excites us. Part of us goes, “I wish I could have done this particular vehicle or particular figure, but it’s cool that we’re going on to this next stage of the story.” That’s what’s really exciting to us. Knowing that there’s new content that’s very deep in story, that’s very rich and compelling, with all of our new heroes. 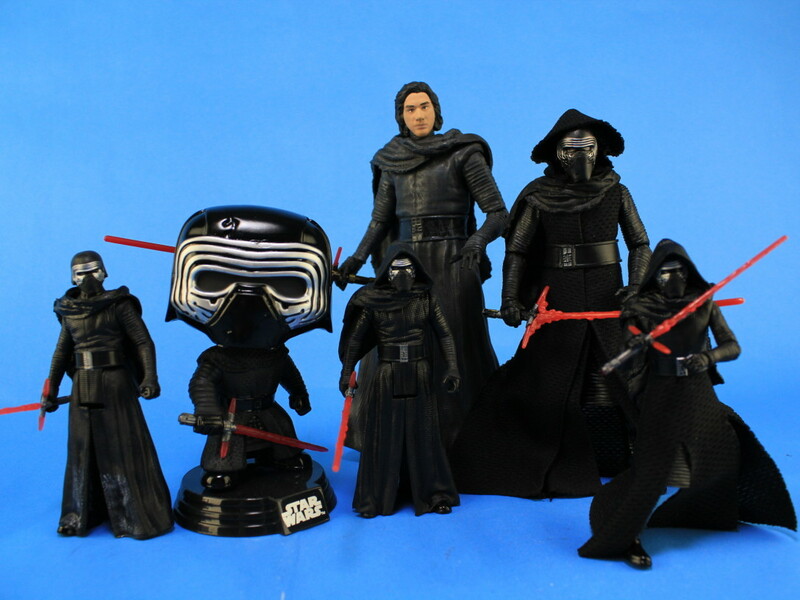 You know, Kylo is a hero to a faction of fans, as well! People love the First Order equally as much as the Resistance! I think that’s another part of what makes Star Wars so cool. It’s okay to be on either side! I think that’s what makes it so compelling and so broad. It’s not just a singular story. It’s not just a story about Poe or Kylo or anyone else. It’s a story about, “Hey, what’s the deal what that stormtrooper? Or what’s the deal with Snoke? Who is he?” And I think that’s what makes it a compelling story that people continue to be interested in. StarWars.com: What are you currently working on with Hasbro that you are excited about — and can tell us about? Mark Boudreaux: Well, actually I’m not at liberty to say much. But we are very excited about the new content that we are given the privilege and honor to work on. I’ve been very fortunate to be a small part of the Star Wars story, and I feel very privileged and honored to work with so many people over the years. We’re very excited to see what’s next. Before I jump into my own Millennium Falcon and head off into the sunset, I am really excited to see what’s next. I don’t see any end in sight for Star Wars and the love that fans have for the story. For a personal point of view, I look forward to seeing whatever story goes beyond Episode IX or any story that goes beyond the Han Solo film. I think good content brings out the fan, and I think we’ll continue to bring out the fan for generations to come. I really don’t see an end in sight. StarWars.com: Forty years of Star Wars means 40 years of Star Wars toys. You have a unique perspective being around for the entire ride. It’s likely hard to summarize your thoughts on how things may have changed over all these years, but in closing, can you give us your take on being a part of the journey from then until now, and into the future? Mark Boudreaux: It certainly has been a journey. One I’ll never forget. A once in a lifetime opportunity, for sure. Beyond working on the toys themselves, I would say that it’s been all about working with the people and experiences along the way. I remember going to England and sitting in the cockpit of the Millennium Falcon, in Han Solo’s seat, flipping levers and switches and imagining myself flying the Falcon. I also had the opportunity of sitting on the bridge of the Invisible Hand [from Revenge of the Sith]…before it crashed, of course! Those are things that can never be duplicated, and I’m fortunately one of the few people who have had the opportunity to work so closely on this project for so many years. Like I said, it’s been over two-thirds of my life that I’ve been able to work on this, and it’s certainly not lost on me. One thing I’d also like to say is that the fans are why we do what we do. The fans are so passionate, and over the years they have really been the driving force behind Star Wars — to keep it going, generation and generation. We went to Star Wars Celebration a little while ago, and there you see fans of all ages, from little kids up to folks my age or older, all experiencing the same thing, which is so totally cool. What other property can you think of that collectively embodies so many generations of folks and people that are so passionate? That’s what really strikes me: being able to be a part of this. Being able to see the evolution of the brand going from analog design, pen on paper, to living in a computer age. The technology has advanced so much over the years and allowed us to do so many things we never would have thought of 40 years ago. But again, it all comes down to the people at the controls. Be it the storytellers at Disney and Lucasfilm, be it the sculptors and engineers, all of our partners. It’s really been an awesome and really unique opportunity. 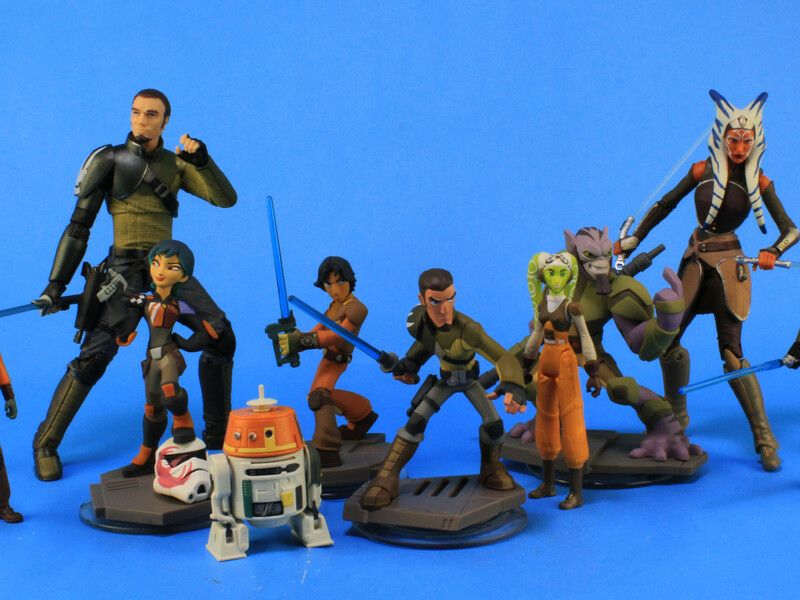 Toy Empire: Star Wars Rebels Roundup!